While sneak peek of Taylor Swift feat. The Civil Wars’s music video for “Safe and Sound” was revealed couple days ago, MTV has finally première the music video this morning! Without further ado, let’s enjoy the YouTube version of the music video below! The video starts off with Taylor Swift introducing the music video. As the YouTube version of “Safe and Sound” music video does lag a little, you might want to visit MTV or MTV Asia to watch it instead. Muddy river bank, fire, nightlock, Mockingjay pin and dandelions are also featured in the music video. Subtle hints to what is to come in “The Hunger Games” movie even though there isn’t any footage from the movie itself. What do you think of the music video? Tell us by leaving a comment below! While music video for “Safe and Sound” by Taylor Swift feat. 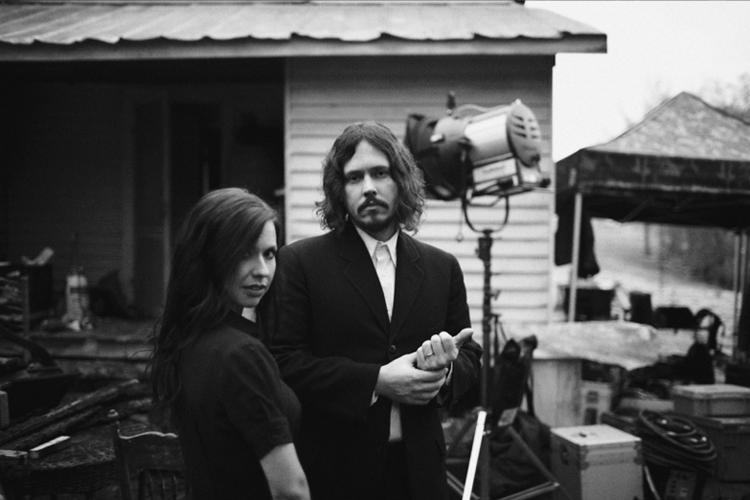 The Civil Wars will only première tomorrow, 14 February 2012, on MTV at Singapore time 8:54AM according to MTV Asia, they had provided a sneak peek of the music video to tide us over till the première of it. A fan has uploaded the video to YouTube so that international fans like us would be able to watch it too. Do you have any burning questions you would like to ask Taylor Swift? You are able to do so via MTV News on Twitter! Fans worldwide can also submit questions for Swift via Twitter using the @MTVNews handle and hash-tags #AskTaylor and #MTVFirst. “Safe and Sound” will also be included in “The Hunger Games: Songs from District 12 and Beyond” which is the soundtrack for “The Hunger Games” movie. “Safe & Sound” from Taylor Swift featuring The Civil Wars is the first single off the highly anticipated soundtrack for the motion picture “The Hunger Games,” released by Universal Republic. Unlike typical soundtracks, this collection will not only include music being recorded by major artists for inclusion in the film, but also a series of companion recordings that will feature new songs directly influenced by the themes and subject matter of “The Hunger Games,” all recorded by some of music’s most successful and acclaimed artists. What do you think of the preview? Will you be watching the première of the music video on TV tomorrow? Usually music video for songs off movie soundtrack will have additional footage of the movie. Do you think we will have any “The Hunger Games” movie footage in the music video? Many thanks to The Hob for finding the YouTube version of the video.